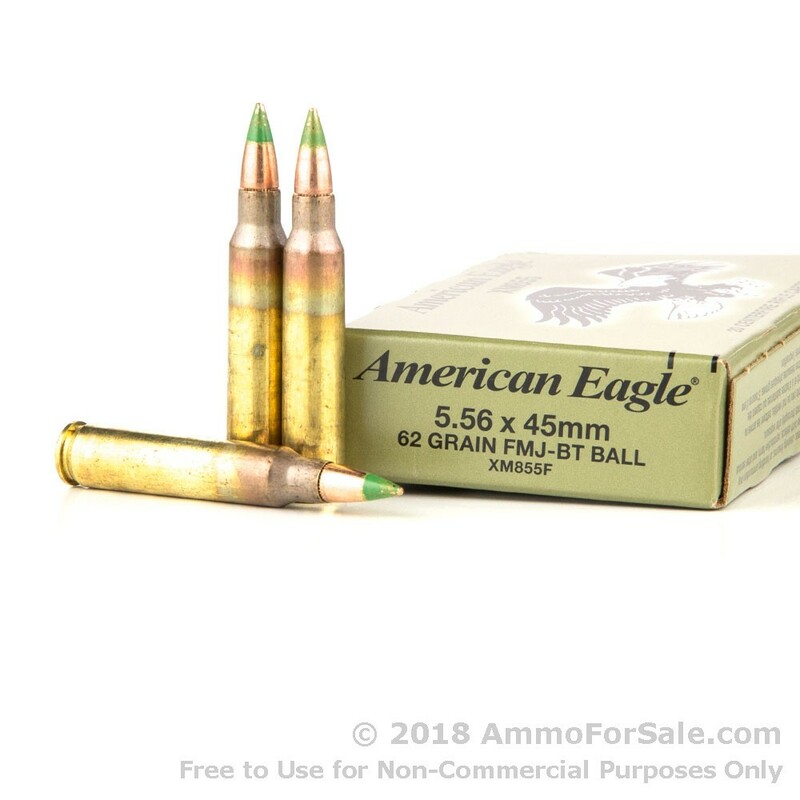 If you’ve been looking for the incredibly popular but frequently hard-to-find XM855 green-tipped ammunition, your wait is over. These XM855 rounds are manufactured by Federal at their established plant in Anoka, Minnesota. The Federal name is synonymous with quality and dedication; when you buy ammunition from Federal, you can be confident in its performance. In fact, Federal was awarded an Army-Navy “E” for excellence for their part in the war effort and their ammunition has been used in the Olympics by competitors who have won the gold. 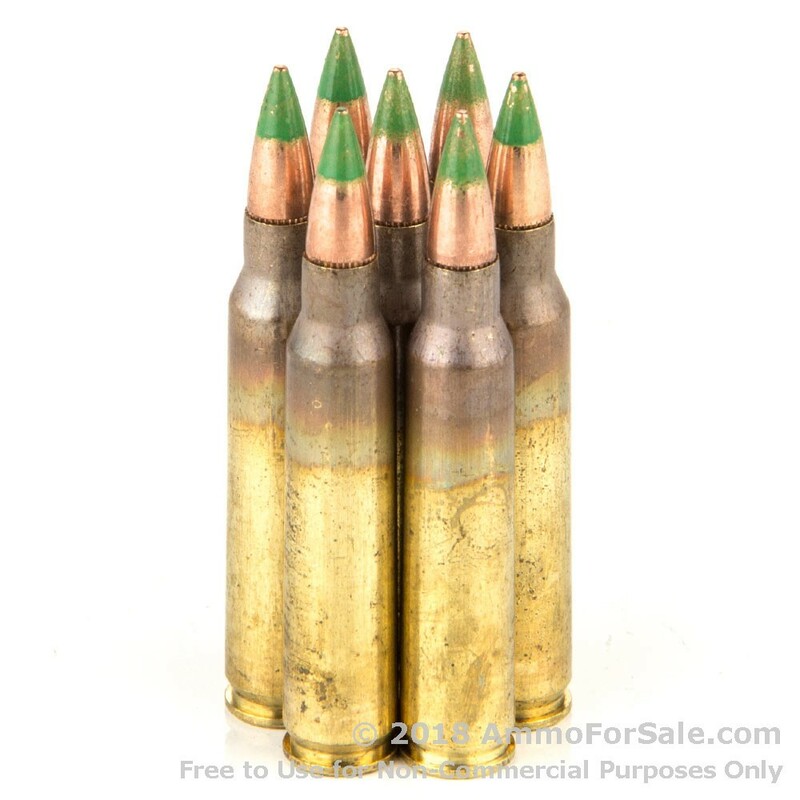 As usual for XM855, these are SS109 62 grain rounds, which is fairly lightweight for the 5.56. They’re FMJ, so they’re perfect for target practical, tactical training, and those days all you want to do is blow holes in melons and gourds (and the occasional paint can) and they’re BT – Boat Tail – which is better at maintaining ballistic coefficients and resisting cross-winds. 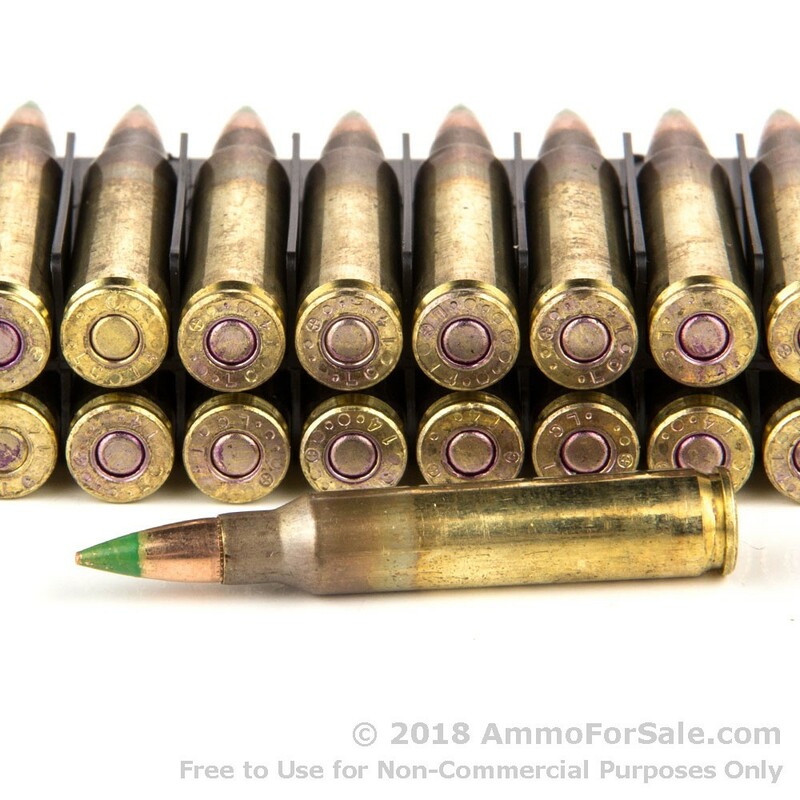 These rounds have a stupendous speed with a muzzle velocity of 3,104 feet per second and have compelling strength with a muzzle energy of 1,326 foot-pounds. And remember, these are mil-spec, meaning visual evidence of annealing is required, which can result in discoloration on the case. You get 20 green-tipped penetrator rounds in this single box, so if you’re a fan, you might want to buy more than one. There is some misinformation out there about XM855, for example, some say it has a steel core, but what it has is a lead alloy core topped by steel. That’s why it’s rated for use against personnel and light targets in the military, but not vehicles. However, it is wise to take care with steel targets, because it does have the strength to punch through them. With XM855 you need to be very sure of your backstop. Place your order today if you want to load your rifle with the same stuff the military uses.